Last night... was it just last night? Wow. Last night I had the wonderful opportunity to see a live web-cast of the 2008 TEDPrize winners. What an amazing event it was too. You can read TED's official blog about it here or you can read my take on the nights events over the next few days since I took several pages of notes as I watched the webcast. I won't share them all with you, but I will share the vast majority of them. My thoughts will be in bold. Please share your thoughts on what you read here and think about ways that YOU can impact this world. Because I know that you and I can impact this world for good. 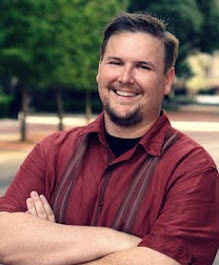 Chris Anderson introduced the session streamed live over the internet. He introduced the session saying, "Look out! What you hear today might get into your head and make you want to do certain things throughout the year." Chris told the TEDPrize winners this: "No restrictions. Think big. Be creative." I think I'm going to adopt this as my motto for the church. He then introduced Amy Nogarets. She gave a update of the 2007 TEDPrize winners. Then a video rolled of Edward O. Wilson's Encyclopedia of Life, Wilson's one wish from TED 2007. Adobe, photosynth (see video here), and other technologies contribute to the EoL to allow a worldwide audience experience the biological diversity of the globe. It goes live today, February 28, 2008. How incredible to launch this amazing site as part of the update on the development of last year's TEDPrize! I literally got chills seeing that! The next video highlighted Adobe's navigational tools that allow the EoL and its users to navigate the massive amounts of information. Amy also announced the unveiling of TEDPrize.org. A place where the global community can follow the TEDPrize winners for 2008. David noticed there were schools in Brooklyn where students need a great deal of one-on-one attention and there were lots of writers and artists in the area had flexible hours during the day. Moved back to S.F. and rented 826 Valencia. 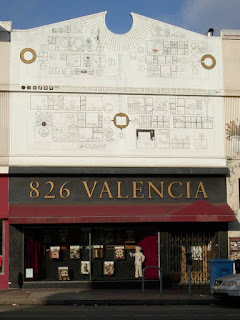 826 Valencia was created so the students from the neighborhood could get tutoring from the local writers and artisans. Opened the place for free tutoring and for weeks and weeks nobody came in. Someone pointed out there might be a "trust gap" operating behind a pirate supply store! They put the tutors in the store front it and it started working. Hundreds of kids came in and quickly realized that the one bathroom wouldn't cut it any longer. "Even if you have a couple of hours a month, those two hours can be transformative." This is so true. With your family. With your church. With you community. Now has over 1400 tutor volunteers! Then 826 Valencia was invited into the schools. After some months tutoring, they were given their own classroom. Isabelle Allende approached them and asked if they would publish the stories in book form with 170 tutors. This led to the publication of several books including "Waiting to be Heard," which was written by the students at 826 Valencia. Then the pirate store started making money! This idea spread to NYC where they opened the Brooklyn Superhero Supply Co. which also has a tutoring center in the rear. This led to another location opening in Seattle and opened the Greenwood Space Travel Supply Co. which offered real NASA food and underwear. Also offered the "Near Death Ray: Why kill when you can be stunning?" Chicago opened their location which is a Spy Supply store called "The Boring Store" because only the spies know what it's really for! Of course the real reason it is there is for tutoring. One girl came for extra credit and thought it would be a quick stop. 2.5 hours later she ended up getting an A on her paper. Now she is a straight A student. LA opened their Echo Park Time Travel Mart. One of the classic sights is a vending machine with a sign reading "Out of order, come back yesterday." One teacher wrote about her students at 826LA saying, "Their courage left me in awe." Other sites have opened: Ann Arbor, Boston, Williamsberg, San Francisco, Austin Bat Cave, Austin, TX, Fighting Words in Ireland. Our goal is to gather 1000 transformative partnerships around the world. Here is an example of great innovative thinking coupled with community development that didn't just impact a group of kids in California, but has impacted children all over the country. I ask you this: Would you be willing to create a Pirate Supply Co.? What kinds of criticisms do you think David faced when he chased this idea? Do you have the guts to look foolish to achieve an incredible goal? On Monday I will share my thoughts on Neil Turok's presentation.